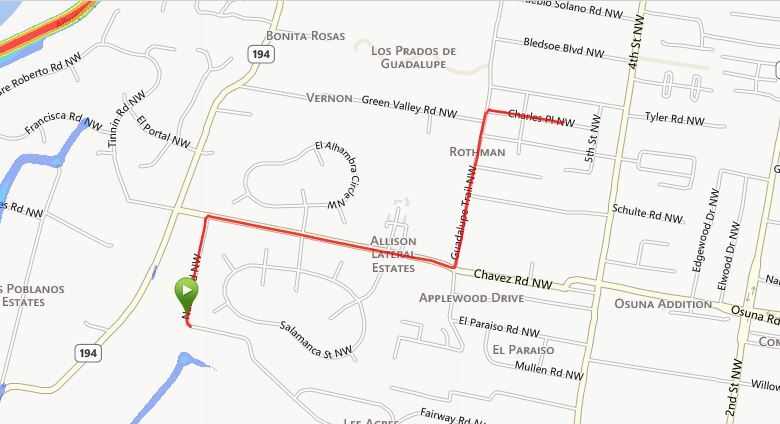 Run with the Cranes, Eat at "The Project"
Please join us for the March handicap which will be held at Los Poblanos Open Space. The run will be somewhere in the 3 - 3.5 mile range with a potluck to follow at the home of Fred and Susie Bonnell, our gracious hosts. To get to the northern entrance of Los Poblanos Open Space: From 4th Street NW and Osuna/Chavez NW (Osuna becomes Chavez when you cross 4th Street; there's a Walgreen's store on the northwest corner of the intersection), head west on Chavez to Nabor (Al's Body Shop will be on the SE corner). Turn left onto Nabor and follow it until you reach the curve at the gravel drive leading to the open space. This will be next to Alvarado Elementary School (Solar and Nabor). There's ample parking in the gravel area. Head north on Nabor to Chavez. Turn right on Chavez and stay on it until you reach the intersection with Guadalupe Trail. Turn left onto Guadalupe Trail. Follow it to Charles Place. Turn right. Address is 603 Charles Place, on the north side of Charles Place, just past the ditch.